I’m not a coffee drinker for religious reasons, but I do love the flavour so I’m always on the search of something close :) Especially when it’s -35 degrees outside (like today) and I am dying for a hot drink! If you clicked this post because…. I want to tell you about a little gem I discovered a couple of years ago called Dandy Blend! There are so many coffee substitutes out there, however most aren’t gluten free so I’ve always been a little bummed I haven’t been able to try them. I LOVE that Dandy Blend has so many nutritional benefits and doesn’t require a lot (if any) sweetener! Let me introduce you to the blend a little bit…. - Dandy Blend is made of only 5 ingredients — extracts of barley, rye, dandelion, chicory and beet roots. - It’s gluten free! It doesn’t contain barley and rye, but rather their water extracts - which is a big difference. Gluten and Gliadin proteins are not water soluble, which means that all gluten and gliadin are left behind in the grounds, and get thrown away. ps the company even tests for traces of gluten! 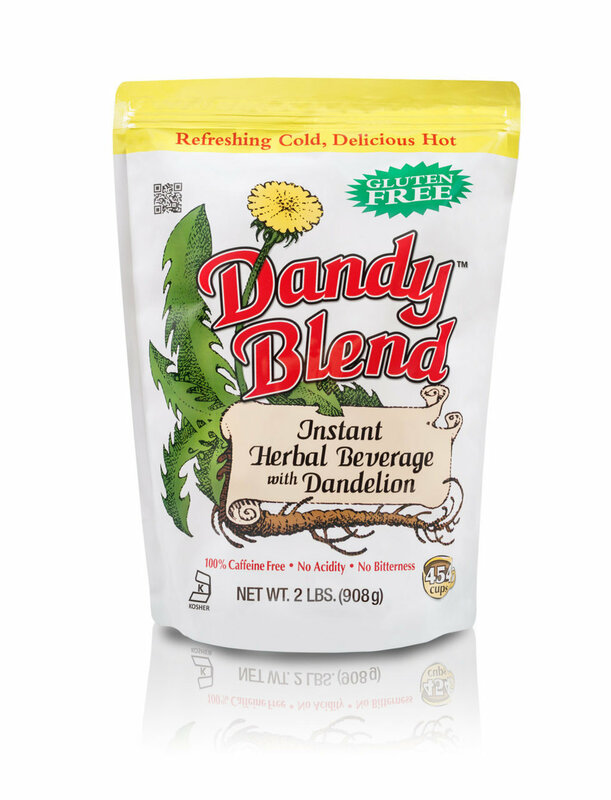 - There are no added sugars or sweeteners in Dandy Blend. Dandelion root and chicory root contain inulin, (an indigestible starch for humans), but provides food for good intestinal bacteria. Chemically, it is nothing more than a bunch of fructose molecules held together by simple bonds that can be broken by either freezing or roasting. - It is safe for pregnant/breastfeeding women. It can support blood purification & support an increase in lactation. There are some warnings about chicory root in pregnancy, particularly in the first trimester, but problems are extremely rare. Chicory overall is a safe and very beneficial herb, especially in moderation. When you drink Dandy Blend, you are getting only a small amount of chicory. To be safe, you should check with your health practitioner. - Dandelion root has the reputation of relieving digestive distress (acid reflux, gas, and so on). - It contains over 50 trace minerals in each cup, most of which the body uses to help synthesize compounds needed in metabolism. - The naturally occurring trace minerals in dandelion root can support adrenal functions that provide energy. It gives some people enough energy they can’t drink it before bed - so you will have to see how it effects you! - Drinking Dandy Blend is Alkalizing, which typically means it is neutralizing to the body. To try it out for yourself click here. There are 3 different sized bags you can choose from!